Initially, it is important to understand how these transactions should be registered. Government institutions must process all their contracts and payments through the Treasury. Public contracts should be open to the bidding process through the Public Procurement Agency (APP) only once the Treasury has opened a respective credit line with the exact amount for the procuring institution. Contracts which last for more than a single fiscal year should also include a payment schedule for upcoming years. Invoices and payments deriving from these contracts should be registered with the Treasury up to 30 days after they have been executed. The entirety of these rules and procedures, most of which derive from the budget management law and from Council of Ministers Decisions (VKM), are in place to properly reflect the fiscal position of the government at any given moment. Failure to do so implies that the official statistics are being tampered with, unforeseen obligations and contracts are being undertaken, and that arrears are being created throughout the system. Theoretically, violations of these rules should lead to fines, improper contracts and invoices should be paid by the guilty public officials, and legal proceedings can be undertaken when these violations become even more severe. Yet, while all of these rules are being violated constantly and continuously according to the KLSh report, no public officials have yet to be charged. There is a number of ways through which the aforementioned rules are being broken. The funds specified in the tenders by the APP differ from those allocated in the Treasury. For example, on page 132, Table 47, the report compares the figures for a number of public contracts awarded though the APP and their official registration in the Treasury. The numbers vary substantially with significant discrepancies between the two institutions. In simpler terms, public institutions are signing contracts without having the funds to carry out the works! According to the KLSh report, the two main institutions which continuously violate these rules are the Municipality of Tirana and the Albanian Development Fund. One of the projects which has not been properly declared by the Municipality is the redevelopment of “7 Xhuxhat”, a former playground, to facilitate the development of Downtown Tirana, a contentious commercial tower. The values registered in the Treasury are often staggered, divided by specific invoices, registered later than required by the law, and so on. The dates for public procurement contract registration are also constantly violated, with many contract or procurement orders being registered much later than their signing date. The report finds that up to 71% of the contracts signed in 2017 have been registered much later, sometimes well into 2018. The Municipality of Tirana is again singled out as one of the institutions with the highest number of violations. Furthermore, the invoices deriving from these contracts are also being mismanaged. The KLSh report finds that over 80% of the invoices, worth up to 234 million euros, are registered later than the 30-day limit, and sometimes months later. 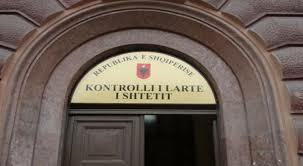 The Municipality of Tirana along with the Albanian Road Authority are singled out as the key violators. Foreign-financed investments which have occurred in 2017 have not been fully reflected in the financial tables as expenditures, with up to 13.6 million euros in deficit spending which need to be reflected. The extension to the Boulevard of Tirana being one of the prime examples. These constant violation by various public institutions and agencies suggest that the most important public finance statistics are inaccurate and fail to properly reflect the fiscal position of the entire public sector. As mentioned above, the constant failure to properly reflect unmet obligations has led to the accumulation of arrears worth at least close to €153 million and at least €92 million of obligations for VAT reimbursement. Therefore, the public deficit during 2017 was not 1.99% of GDP, as officially reported by the Ministry of Finance, but at least 3.54%. Furthermore, SSAI calculates that public debt is not 69.9% but hovers around 72% of GDP, if all these unpaid obligations are included, as they should be. Figure 2: The public debt level according to the SSAI report, above the 69.9% level which the government claims. It is worth keeping in mind that this public debt figure still excludes obligations from Public-Private Partnerships, which the IMF and the SSAI have continuously requested be included in calculating the ratio. If PPP contracts are also included, then the public debt ratio jumps to over 80% of GDP. This is even more worrying since the Albanian government recently issued a Eurobond using their official statistics in the prospectus. Foreign investors can sue the government if they believe that they have been lied to and invested their money because of unreliable figures. Figure 3: Copy of the Albanian government Eurobond prospectus, where the incorrect fiscal figures are summarized. But this is not all. One of the supposedly successful reforms of the government took place in the energy sector, with numerous families being forced to pay old electric bills regardless of their ability to do so. Yet according to the KLSh report, the sector is now more heavily indebted than in 2013, and the trend is worsening. Figures 4 and 5 below show the increasing obligations on the public sector deriving from state guarantees and subsidiary loans – that is, loans that the energy sector has obtained through the state. In both cases, the increasing trend is clearly visible. Figure 4: Obligations from subsidiary loans by the state to the energy sector, increasing at a growing pace during the last three years. Figure 5: Obligations from state guarantees to the energy sector increasing during 2016 and 2017. During 2017, the sector has benefited from the amnesty of close to €78 million worth of obligations. This has contributed to the formal preservation of a stable indicator on the surface. Stripped of this fiscal amnesty, total liabilities in the energy sector would be have increased from €249 million in 2016 to close to €310 million in 2017. As an example, table 76 of the report shows that during 2017 all state-owned companies increased their obligations due to subsidiary loans, one of the four instruments through which the state finances these companies (the others being guarantees, direct financing, and unpaid tax obligations). The increase in obligations was true not only for the energy sector, but was also observed in a number of water supply companies from various municipalities. The energy sector alone almost doubled its obligations on subsidiary loans, increasing the total stock from €42 million to €76 million. Figure 6: Table 76 from the report, showing the obligations for state-owned companies. The energy sector’s total obligations due to subsidiary loans can be seen in the first line of the table. It is quite clear by these figures that the much hailed “reforms” in the energy and water-supply sector have had abysmal results up to now. This suggests that the obligations incurred by these sectors are arguably caused by a variety of reasons, with mismanagement being a prime suspect, and not only due to the citizens unwillingness to pay for these services. A couple of weeks ago, I replied with an article written by prof. Ricardo Hausmann regarding the state of the Albanian economy. While the rebuttal contained figures and facts to counter many of Prof. Hausmann’s claims, the issues with the deficit and debt were not discussed at length compared to other problems. The KLSh report now provides indisputable facts that even the deficit and debt figures which the government has loudly proclaimed as success, are not accurate. Furthermore, in order to publish their predetermined figures, the government has created a vast amount of arrears and unmet obligations, which are likely to become a heavy burden for future budget planning and governments.